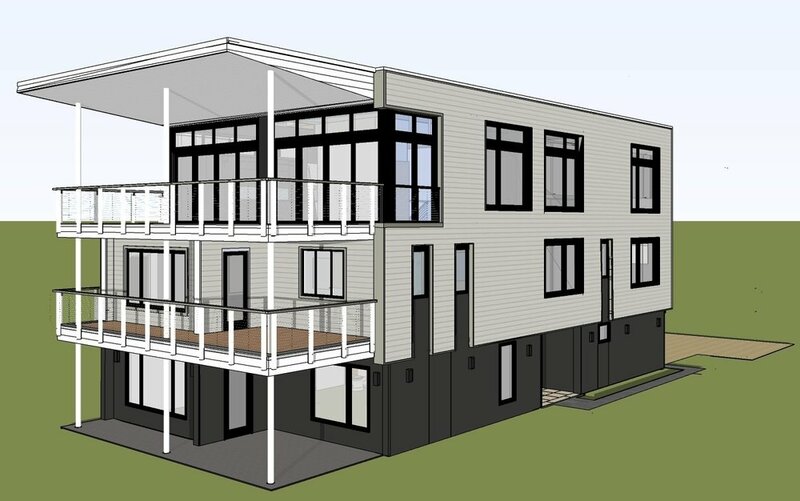 The Design Collaborative has designed all types of residential buildings including duplexes, townhouses, and apartments for many regional developers. These projects cover the gamut from affordable housing to high end custom homes in a variety of urban, suburban and rural settings. Our understanding of local codes and construction combined with our attention to detail and commitment to our clients needs ensures an exceptional product for your market. A striking modern home with an interesting backstory involving a set of internet plans that were too wide for the owner’s North End lot, a frustrating experience with another architect and then we were asked to give it a shot. Inspiration struck and we resolved all their issues with a few sketches. See linked article for more. August 2018, SouthSide Daily Article. 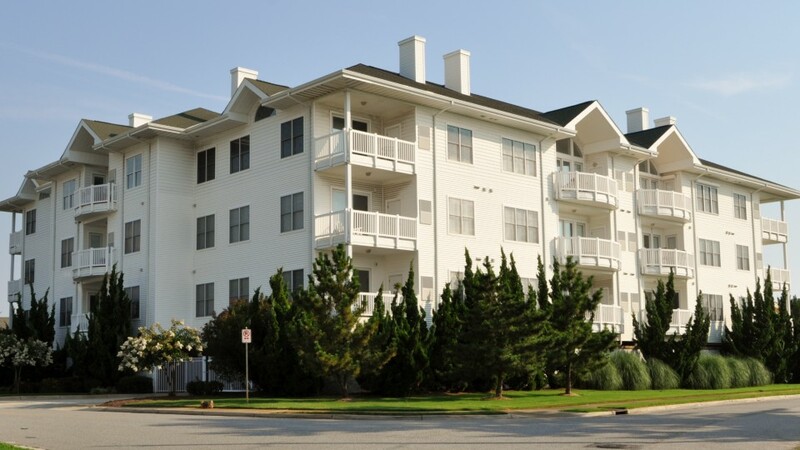 Contemporary living at the Oceanfront with deep water access on the Lynnhaven River. An oceanfront home for a couple and their extended family. Great views, great decks and a sheltered outdoor patio. 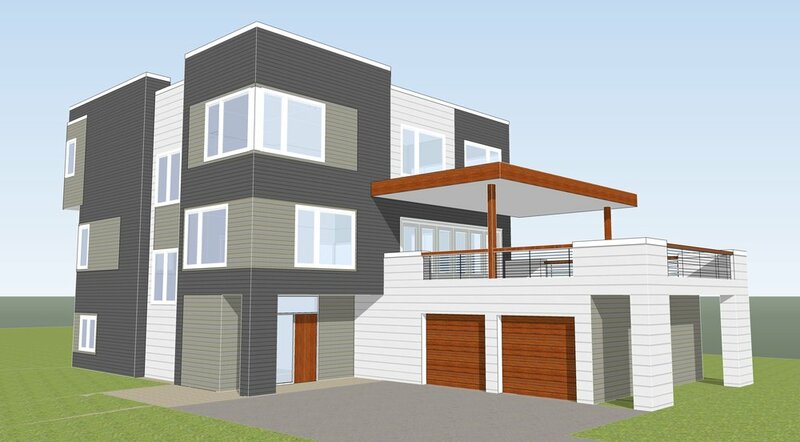 Four Families get lucky and buy two adjacent north end lots. This large home has a small home feel throughout and expansive views of the Lynnhaven River. The project was designed and built by a team of talented and meticulous individuals led by an inspired owner who set out to do something truly special. A contemporary oceanfront home designed for indoor-outdoor living featuring 2 oceanfront decks, a sunset deck, landside deck and a roof deck. Interiors by Candace Altschul, Altschul Interiors, Norfolk, VA.
Long time north end resident builds new dream home. 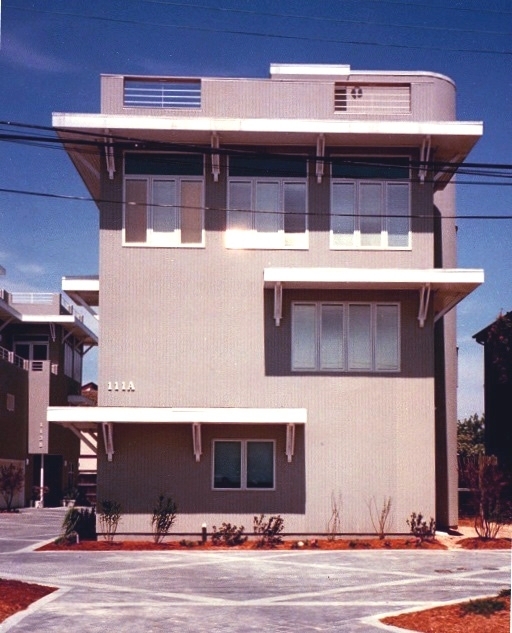 Upscale rental duplexes for transitional Ocean View neighborhood. Views overlooking Rudee Inlet and the beach.